The Department of Tourism (DOT) announced Friday that the country's last frontier, Palawan, will be featured in the first-ever regional cruise-themed television program on the American channel TLC, as produced by the Asia Cruise Cooperation (ACC) and the DOT as one of its members. The TV show will be aired on TLC across Southeast Asia, Taiwan, and India in the first quarter of 2019. The DOT said the show consists of four episodes with a 30 minute running time, showcasing the traditions, cultural heritage, and natural wonders of Hong Kong, Sanya in Hainan, Kaohsiung in Taiwan, and Palawan in the Philippines. Among the destinations to be visited are Mt. Tapyas, a 210-meter mountain and the second highest peak in Coron that is perfect for sunset viewing, and the Maquinit Hot Springs, one of the only few saltwater hot springs in the world. 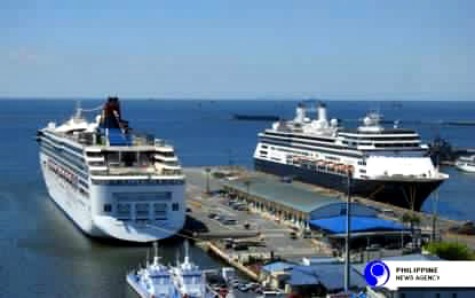 The regional TV campaign will feature friends aboard two celebrated cruise ships as they experience cruising and visiting the hosts' hometown. According to the agency, "a digital marketer from a famous Filipino political family or a cooking competition champion" might be playing one of the program hosts for Palawan, touring his friend around the picturesque islands of Coron. Palawan, which forms the Turquoise Triangle together with Manila and Boracay as identified by the National Cruise Tourism Development Strategy and Action Plan 2016-2022, was also toured by ACC executives during the 8th Asia Cruise Cooperation Working Group Meeting held in the country. Tourism Undersecretary Benito Bengzon Jr. and Assistant Secretary Maria Lourdes Japson represented the Philippines in the meeting. Completing the six-man strategic alliance of ACC, formerly known as Asia Cruise Fund, are Xiamen in China and its latest member Korea. Discussed during the bi-yearly meeting are the ACC website launch, digital campaign, research support for cruise lines, and preparation for the alliance’s participation in Seatrade Cruise Global 2019. DOT’s participation in the ACC is in accordance with the national cruise strategy, which targets 656,635 cruise passengers from 300 ports of call by the end of 2022.